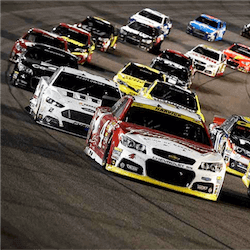 On Sunday the 4th of March, the 2018 Monster Energy NASCAR Cup Series heads to the prestigious Las Vegas Motor Speedway for the Pennzoil 400. After taking the win in Atlanta in February, Kevin Harvick is the bookies favourite to win in Vegas and continue his current streak. The odds also favour Martin Truex Jr, Kyle Larson, Brad Keselowski and Kyle Busch for title contention. The event will be filled with high-octane action, stylish manoeuvres and strategic placings. For those who are new to the sport, the Monster Energy NASCAR Cup Series is the top racing series for the National Association for Stock Car Auto Racing simply shortened to NASCAR. The NASCAR championship consists of a 36-race season that kicks off with the Daytona 500 in mid-February. Drivers, teams and manufacturers are awarded championship points according to where they finish as well as home many laps they led in the race. The NASCAR season is divided into 2 segments. After the first 26 races are completed, the top 16 drivers compete in the final 10 races where the points awarded for each race are reduced. This final section is called the NASCAR playoffs. The driver and team with the highest number of points at the end of the season is Crowned the NASCAR champion. The Pennzoil 400 is only the third race of the season after the Daytona 500 and the Folds of Honour QuickTrip 500 which was held in Atlanta Georgia. In terms of the drivers’ standings, Joey Logano is the current series leader with 89 points. He is followed closely by Ryan Blaney on 83 points while Denny Hamlin in in third spot on 77 points. In the owner’s standings, Team Penske holds the top two spots while Joe Gibbs Racing is in third. What to Expect in Vegas? The location for the Pennzoil 400 is the Las Vegas Motor Speedway which was initially constructed in 1995. In 2006, the track was reconstructed to include progressive banking. To date, only 5 drivers have made their NASCAR debut in Las Vegas. 12 of the Drivers that have won the NASCAR Cup Series have recorded wins in Las Vegas. Of these 12, only 5 are racing this weekend. Jimmie Johnson holds the record for the most victories taking the chequered flag in 2005, 2006, 2007 and again in 2010. The other 4 Vegas and series winners racing this weekend include Kyle Busch, Kevin Harvick, Martin Truex Jr and Brad Keselowski. 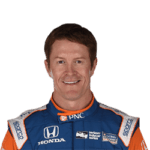 Kiwi Scott Dixon has claimed second place at the Indycar Championship season finale that was held at Sonoma Raceway. The win is the fifth for the Kiwi racer so far …. 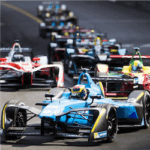 Looking At Formula E Racing What with the latest Formula E season having kicked off for the year as well as all of the excitement of Mexico City, there is …. 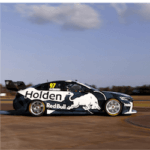 Red Bull Holden Racing Unveils their New Livery for 2018 The upcoming Virgin Australia Supercars Championship kicks off on the 1st of March, much to the delight of many punters …. 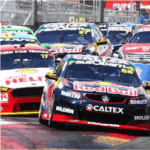 McLaughlin Keen to Bounce Back in Auckland There are just four races left in the 2017 Virgin Supercars Championship, and five drivers still in with a theoretical shot at the …. 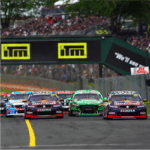 Jack Perkins to Replace Rullo at ITM Auckland SuperSprint Jack Perkins will the man replacing youngster Alex Rullo for his first Supercars start since 2015. This comes after Rullo and ….